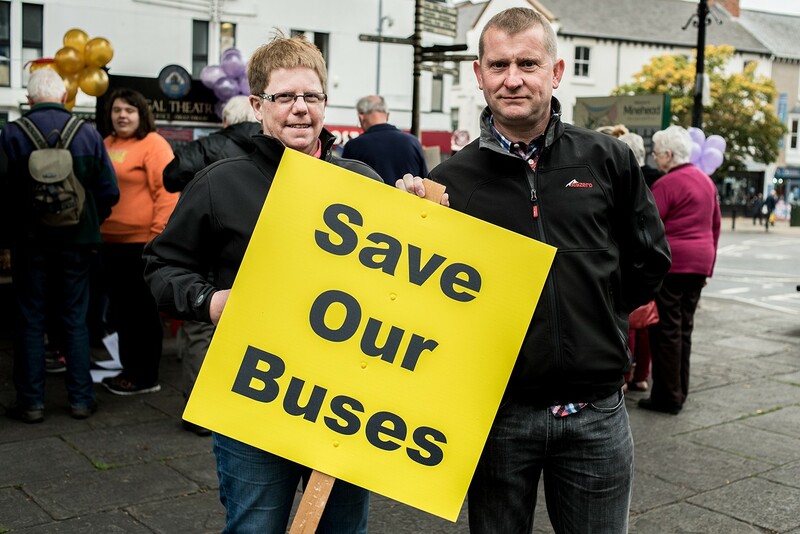 "Three out of four of West Somerset’s buses – gone"
Home > "Three out of four of West Somerset’s buses – gone"
Bus users in Minehead and Porlock are horrified by plans to withdraw the No. 10 bus, the 101 and the 14, after they were deemed no longer viable. Naomi Marley, editor of Exmoor Magazine (www.exmoormagazine.co.uk  and facebook.com/exmoormagazine ) met some of those affected by the proposals. 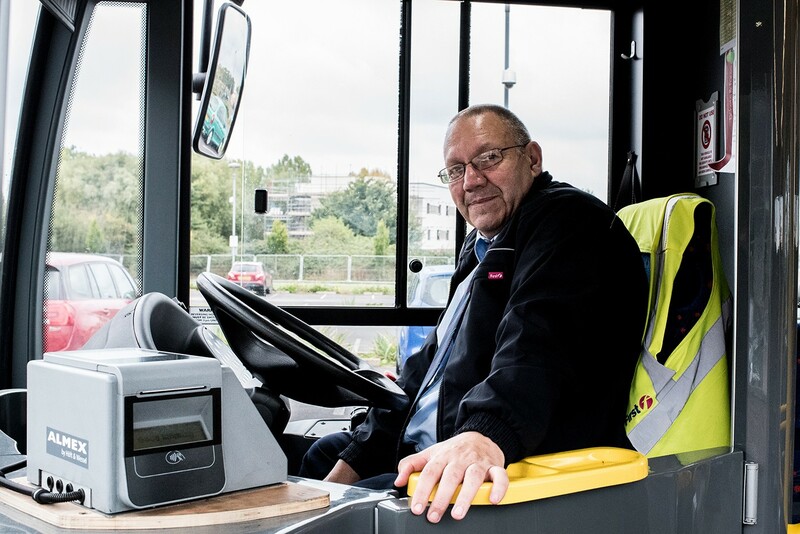 “I thought they couldn’t take away our buses… ? These were the questions posed to me today by a bemused and upset 64-year-old Betty Kisby from Porlock, when I met her – and countless others – in Minehead’s Wellington Square. Here, a petition to ‘Save Our Buses’ was being signed by hundreds of people in the deflating October drizzle. After signing, rather than drifting off, they hung about chatting with one another, all trying to understand the situation. 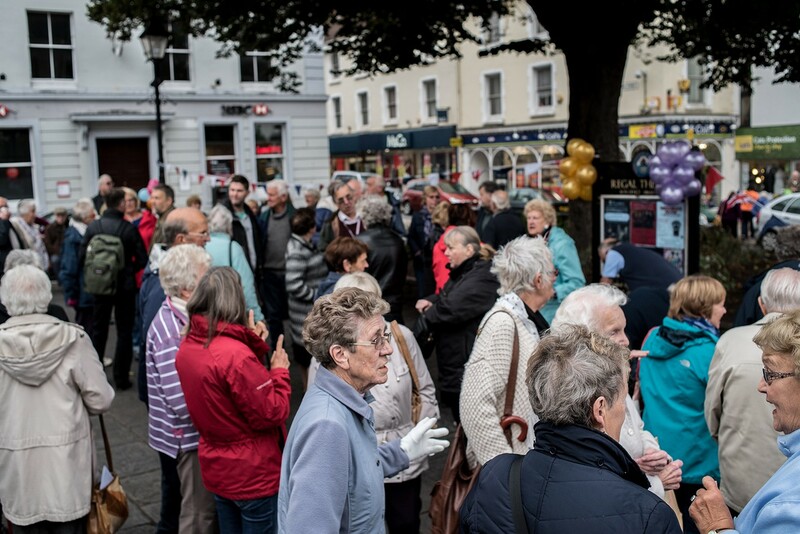 The background sound from this largely senior gathering was more akin to the low drone at a huge Irish wake than an angry protest. I think that’s probably because people haven’t got their heads around this yet. Many will only have learnt about the cuts – not proposed but finalised, and reportedly without proper consultation – yesterday, thanks to Tony James’ extensive and timely rundown of the situation in the West Somerset Free Press, which also included a call to arms to get biros at the ready from 10am today. If the overheard conversations were anything to go by, I think that every single person in the Square had probably read that article and they seemed pleased to see several journalists coming to find out more. I’ve rarely had a queue of people wanting to talk to me! But they also wanted to know if I knew any answers. I was taken aback. I thought I was going to be the one asking questions, like ‘How would losing the bus affect your life?’ But as people milled around chatting, signing, trying to grasp the bombshell, the refrains were everywhere. And no, apparently there isn’t. “Do you think there is any way this can be rescued,” I asked her, sounding like a stuck clock. She gave me a frown. My Granny would have called it a ‘square look’. County Councillor Terry Venner seemed to agree. “I think there’s very little hope. But what I want to achieve here is simply to highlight the fact that there is a need for the buses and that this petition has support. If we can get 1,000 signatures today, that’s 10% of the resident population. The aim of the campaign is to raise enough support to persuade the County Council cabinet to seek alternative funding and put the services out to tender. It’s not a luxury we’re talking about. It’s a necessity. “Well I’m contemplating it – if I can get my husband to agree to it.” Betty’s friend uttered an amused groan. “That is the 101 right now,” said Mary, and pointed over the road to the bus stop outside Toucan Wholefoods. Waiting at the bus stop for a full busload of passengers to disembark was a frail gentleman, leaning against the glass of the shelter. He was a delight to listen to, but sadly my recording did not pick up his name. Wracking my brains for the lost name and failing, I posted on the Revive Minehead facebook page this afternoon, asking if anyone could help me. I got plenty of replies. “The gentleman is Eric Freeman. Well into his nineties, he still does mileage records for the West Somerset Railway,” wrote Steve Martin. “He spends a lot of time sat in Morrisons lovely man,” wrote Teresa Williams. I wonder how many of these people would know Eric were it not for the 101 bus. How would he do his volunteer work for the West Somerset Railway? Imagine the prospect of losing just this one part of his life. The bus driver was very quiet as we paid. We told him where we were from. At first I thought he didn’t want us to talk to him. But in actual fact he was just really sad and upset. “Is there a chance that you will lose your job with these cuts,” asked our photographer. Imagine that, at 90 odd. It’s absolutely rubbish. I’m 41. I’m not using the bus to get to Minehead yet. There won’t even BE a bus for my generation by the looks of it. But I’d like it if there was a bus for my parents. I get upset about lots of things in the news, so much of it makes me feel powerless, but usually with local issues there seems to be more chance of influencing the outcome. In this instance I’m not so sure. I think this is a fight, however hopeless it might seem today, to get involved in. Have you signed the petition? It’s everywhere – in all the local shops and businesses. Actually, thinking about it as I type, we need one online. Who’s up for starting it…?